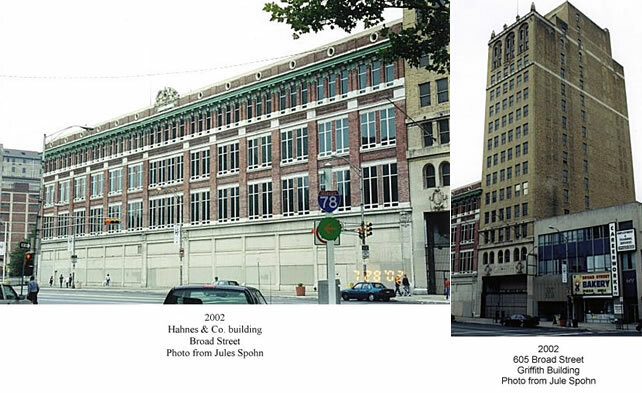 This past Sunday (11/30/2003) the New York Times ran a wonderful article in their Real Estate section #11 on page 2 about the plans to convert the Hahne's and Griffith's buildings into 223 apartments. 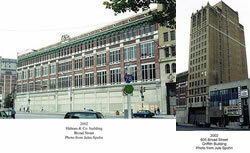 Cogswell Realty is spending $180 million to convert these two buildings. Other developers are also planning to build other residential projects in the downtown area, including converting office buildings, building new mixed-use towers along the Passaic River, and adding residential structures at the city's colleges, and a new "urban village" of mid-rise and high-rise housing in the area that might become the home of the new sports stadium - over by Mulberry Street. Overall these projects could add more than 6000 housing units in the downtown area. Rutgers is planning a new under-graduate dorm that would house 600 students. Matrix Development, which had largely been an industrial developer in the state's midsection is planning a mixed-use development, including 400 to 500 housing units, stores, hotel, and possible an office building, along the Passaic River. Regan Development is in the Process of converting the old Raymond Commerce Building into 63 condo's which will rent from $1000 to $1600 a month. And as I mentioned before, over along Springfield Ave by Bergen Street construction is already going on on new houses, condo's, and a mall which will house a new Home Depot. Welcome to the "New Newark."